The $16-billion deal cleared an important hurdle on Aug. 8, when the Competition Commission of India announced on Twitter Inc (NYSE:TWTR) that the deal had been approved. This deal will boost Walmart’s presence in Indian retail. However, it could also position Walmart to play a role in India’s fast-growing fintech sector. Walmart as a fintech stock? Does this make sense? Walmart has tried several times to obtain a banking license in the United States. Doing so would help the retailer save billions of dollars in card-processing fees. Walmart also has an interest in helping under-banked shoppers save money. The company partnered with Green Dot in 2014 to offer its customers checking accounts. Walmart Money Centers offer prepaid debit cards, credit cards, money transfers and check cashing. Last year, Walmart partnered with two fintech startups to help employees avoid expensive payday loans. Like China before Alibaba (NYSE:BABA) released Alipay, India is also under-banked, with just 41 percent of adults holding an active bank account in 2017. Walmart could play a similar role in India through Flipkart and its mobile wallet, PhonePe. By buying Flipkart, Walmart has taken a position in a fast-growing market. Deloitte thinks that mobile payments in India will reach $460 billion in transaction value in 2021. By buying Flipkart, Walmart will also own PhonePe. PhonePe is the second-largest mobile wallet in India. It boasts 100 million users. PhonePe’s annual transaction value grew from $2.5 billion in July 2017 to $20 billion in May 2018. Alibaba-backed Paytm, PhonePe’s rival, claimed $29 billion in annual transaction value in May. Like Alipay, PhonePe benefits from being linked to a large e-commerce site. Alibaba’s Ant Financial was recently valued at $150 billion. WMT stock will benefit if PhonePe achieves even a fraction of this. And like Alipay, PhonePe appears to be branching out. PhonePe is offering its payment solution to pharmacies, department stores, restaurants and gas stations in India. PhonePe says it signed up 25,000 offline merchants last year, and it now claims 300,000 merchants. The company wants to reach one million merchants in India. In July, PhonePe bought Zopper Retail, a point-of-sale solution for small businesses. Zopper currently serves millions of businesses. In June, PhonePe partnered with the hotel app Goibibo and Ola, India’s Uber, to allow users to book hotels and hail rides within the PhonePe app. Like Foursquare, PhonePe wants to allow shops to set up stores on the app and connect users with businesses near them. In doing so, it will be imitating Paytm. WMT stock will benefit as PhonePe follows Ant Financial’s playbook. Like Ant Financial, PhonePe is looking at offering other financial services, such as loans and insurance. Having a customer’s payment data helps PhonePe assess a borrower’s risk. This is why Square (NYSE:SQ) offers loans to small businesses. There is a big need for financial services in India. Small businesses in India faced a $230-billion credit gap in 2017. As for life insurance, the Indian government said in January that India had a $7.53-trillion protection gap. Walmart has bought itself a strong position in a large and fast-growing economy. Through PhonePe, Walmart could end up with a big stake in India’s fintech sector. As PhonePe and Flipkart continue to grow and win market share in India, this should boost the price of WMT stock. As of this writing, Lucas Hahn did not hold a position in any of the aforementioned securities. 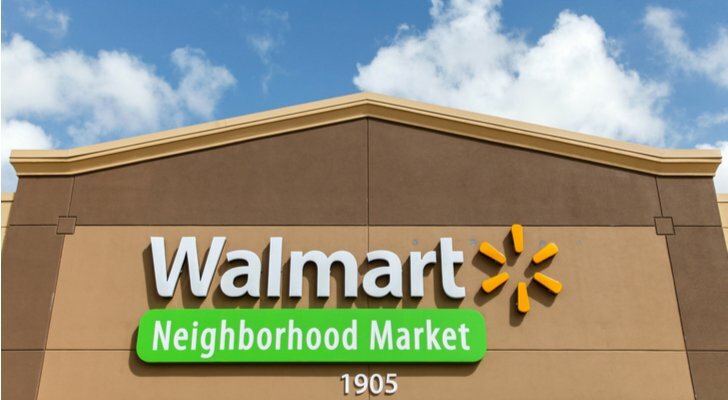 Article printed from InvestorPlace Media, https://investorplace.com/2018/08/walmart-is-making-a-play-in-indias-fintech-sector/.